I went to China for 9 days with my mom on a business trip in November. While there I visited Guilin, a small town 3 hours by plane from Shanghai. 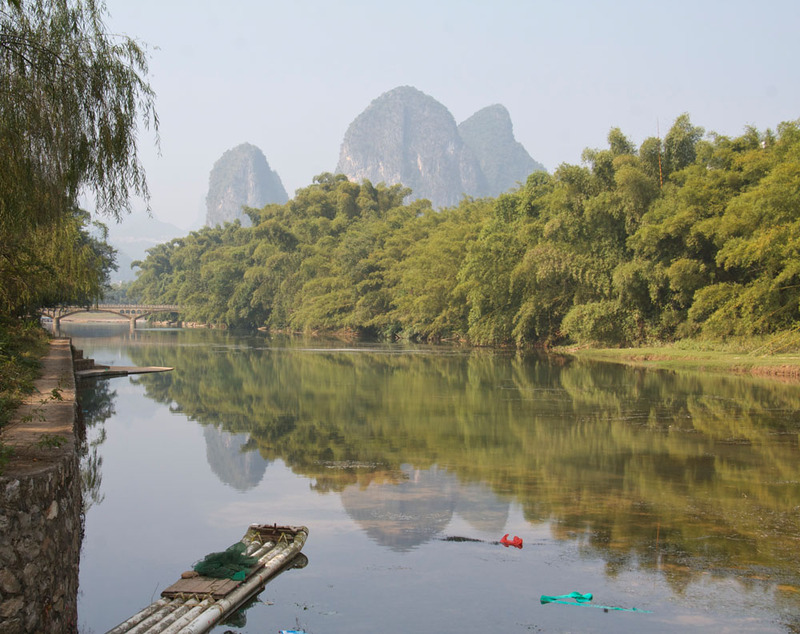 We stayed in Guilin for 4 days in a little mountain hotel that was surrounded by limestone hills. We went biking a lot and took a tour of a cave. After the cave tour we met a friendly little dog. On our last day we took a taxi to another little town and walked around there for the whole day. Then we headed to Hong Zhou, which is 2 hours away from Shanghai by train. While we were there, we visited a temple with lots of stone carvings of Buddha. Then we toured White Snake Lake in a small boat. From there we returned to Shanghai for 3 days where we explored the architecture and visited a knock-off market. On our last day we visited a beautiful garden filled with bamboo, but I was sick so after visiting the garden I went back to the hotel. These photos are from Guilin.